Alas! My fridge is iceless. You ought not to think of the situation when you approached your fridge for ice and found out that there is no ice. It’s pretty frustrating to think of a fridge that is unable to produce ice. 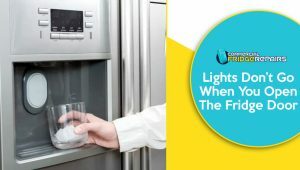 This is one of the most common issues associated with a malfunctioning fridge. A frozen ice-filter is one of the common problems associated with almost all types of refrigerators. Because of this, it becomes almost difficult to get ice-cubes out of the fridge. 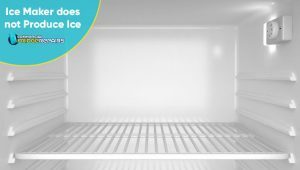 In order to make sure that the fridge disperses ice smoothly, it is important to remove the blockage from the pipe. Therefore, the experts from Commercial Fridge Repairs in Liverpool suggest removing any blockage from the pipeline by warming the hose. Care needs to be taken during warming the hose because there are plastic parts that should be taken care. 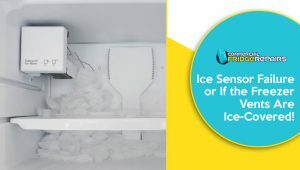 When the ice maker is unable to produce ice, then the possible reason might be a clog in the line or the filter of the frozen water. Expert’s tip on dealing with it is to replace the water filter after locating them. Since the entire unit is located inside the unit, therefore, an expert’s guidance is always going to be fruitful. If you find that the ice dispensary is stuck, then there is a strong probability that there are large chunks or cubes of ice that are blocking it. Pull the clump out of the dispenser and wipe its area using a warm and wet cloth. If they don’t separate, empty the whole thing and then clean it. 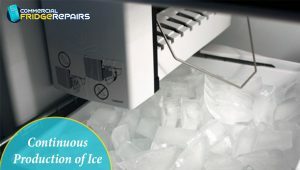 At times, the ice cubes can clump due to : increased moisture, gaps in the freezer door gasket (the rubber which seals the fridge door to the gasket) or gaps in the freezer. The best way to tackle/troubleshoot such issues is to summon our qualified professionals from ‘Commercial Fridge Repairs’ known for their quality-proven emergency fridge repair services. Having dealt with such issues in the past, they will know what to do. Ice Sensor Failure or If the Freezer Vents Are Ice-Covered! There are some error codes that are displayed on the unit’s control panel. It refers to ice-maker issues- namely the ice-sensor failing or ice covering the fan blades as well as the freezer air vents. You could try melting the ice cover, but the safer bet would be to allow our commercial fridge repair professionals deal with it. Having all the necessary tools and experience, they will inspect the unit properly and treat the root of the issue. 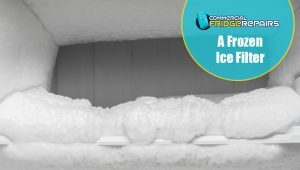 Experts from Commercial Fridge Repairs say, “one can lift the bail wire attached to the fridge in the upward direction; then removing the ice from the ice bin. Reinstalling it back to the original place after cleaning it thoroughly might help in the over-formation of the ice. However, if it does not work, then it is evident that it needs to be replaced. Hiring the competent authority or the expert professional associated with fridge repairs is going to ascertain that the entire thing is done properly. 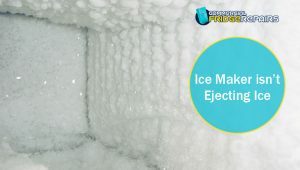 Ice makers are generally controlled by the unit’s door switch, and that also controls the lights. If you notice the lights are not working on opening the door, it means the switch has malfunctioned. You would need to test the switch for its continuity with the help of a multimeter, and for that, you have to unplug the unit and the leads from the switch. If it still doesn’t respond, then it needs to be replaced. Our experts at ‘Commercial Fridge Repairs’can help you with that. 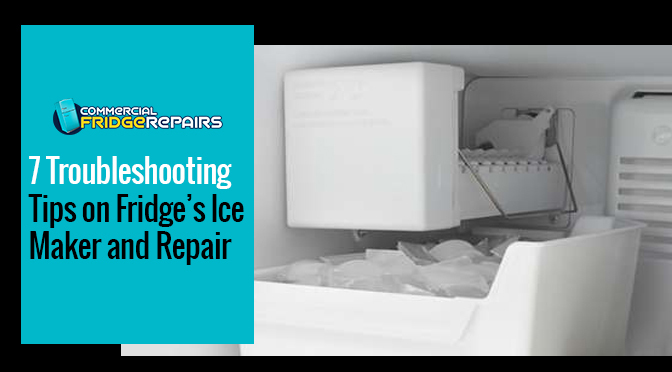 Using their advanced field knowledge and experience in repairing fridge units of various brands, they will replace the malfunctioned switch in no time and ensure your unit’s ice maker operates properly too. At last but not the least, another troubleshoot associated with the fridges is the inability of the icemaker to eject ice. It is probably because of the out of order motor attached to it. Surprisingly a damaged motor can is one reason why the vents in the ice-maker get covered with ice. The only way to get it functional is to have the motor replaced by any professional. Troubleshoots associated with the refrigerator needs to be adequately addressed. Ignoring any of the problems is always going to turn odd for your pricey appliance. 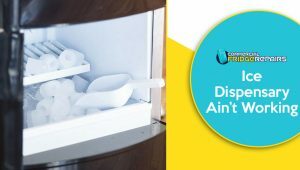 Previous PostTop Reasons Why Your Refrigerator Is Not Freezing ProperlyNext PostWhy is Coolroom Repair and Maintenance so Essential?